Welcome to the haunted hovels section of Haunted places in Delaware. Please select a link below to view information on that location. This site which is now a state park, was used as a place to imprison Confederate soldiers during the Civil War. Many workers and tourists have seen ghostly images, felt cold spots and heard voices. On a recent 'ghost tour' visitors actually saw the image of a Confederate soldier watching them from the upper ramparts. Also this island site was once a cemetery for soldiers who died of typhus and malaria and this is reportedly haunted as well. This building is said to be quite haunted. Residents and several other people have reported seeing a bewigged 18th century gentleman, a 'tippling ghost' that likes to empty wineglasses if they are left in a certain place, a chain-rattling ghost in the basement, supposedly the place was a stop on the underground railroad, and it's said that some slaves were sold out and recaptured, and a little girl in a red dress who plays in the gardens. There are reportedly 2 ghosts that haunt the firehouse. There is one in the engineer's room that is evil and appears as a shadow in the door way and has been seen in the hallway going to the engineer's room. Voices have also been heard late at night when people are alone. But there is another ghost and he is said to be the protector of the station. He is very good and rarely shows himself; and he is said to keep the evil presence in the hallway of the engineer's room. It is said that if you go to the firehouse you can literally feel the struggle going on. This building has been remolded several times but back in the 1800s slaves were traded on the porch. It is said that Edgar Allen Poe wrote "The Raven" there. Once a popular dive for the college kids, the waiting staff used to tell stories of sounds on the stairs, that were closed off at the time, when opening or closing the bar. Of course no one was there, and often the front doors would swing as if someone entered, but again, no one was there. It is said that the upper levels of this old Du Pont home are off limits because of 'mysterious occurrences'. Chairs have been placed in strange formations in dining rooms when few are in the building. Laughter, screaming, and lights flickering even after the wiring has been redone. This tavern is a very old building, 200 years or so, and has had many waiters and waitresses complain of dishes being thrown at them, screaming, dominoes floating from the game boards in the recreation room, and other poltergeist like incidents and activity, all supposedly related to the ghost of a former customer who was a big prankster, named lemonade Mullery, who ended up having the last laugh as he slipped in a puddle of urine in the men's room and broke his neck in the late 60's. 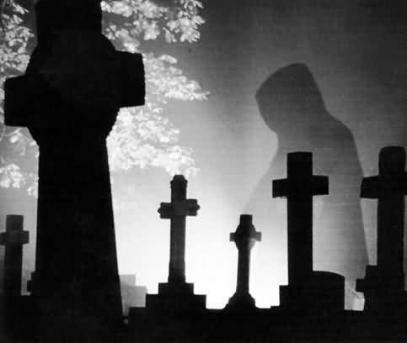 An odd but true tale, and a strange presence can fairly easily be felt in Dead President's, even by non-psychic individuals.